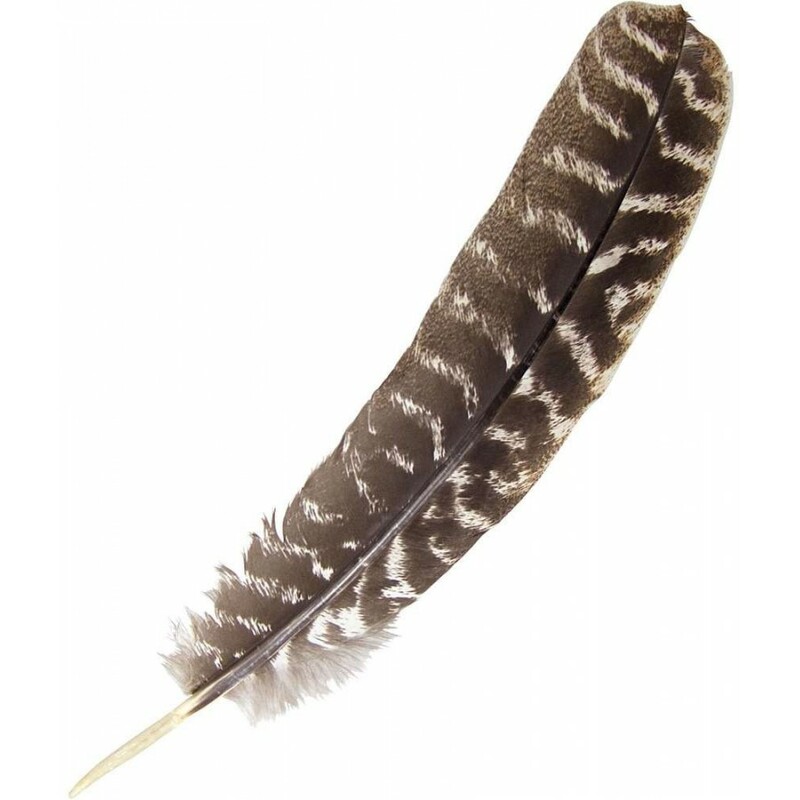 These wild harvested turkey feathers are great for smudging and craft work. Each feather is about 14 inches long in shades of brown and cream. 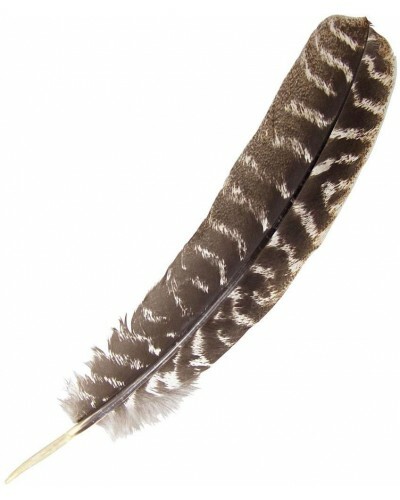 Natural feathers are going to vary in size and design. 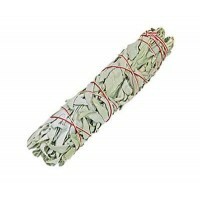 Item Number: KK-89616 | Approximate Size (Inches): 2.50 wide x 0.10 deep x 14.00 high | Approximate Shipping Weight: 0.01 lbs.